Atlanta was our main destination during the entire trip. I can say this is the only place most widely visited by me and my husband. One thing that got me excited during this trip was the July 4th big event...fireworks! It would be my first July 4th to witness the big fireworks only to be disappointed at the end because there was a big thunderstorm that night, and so it was cancelled! 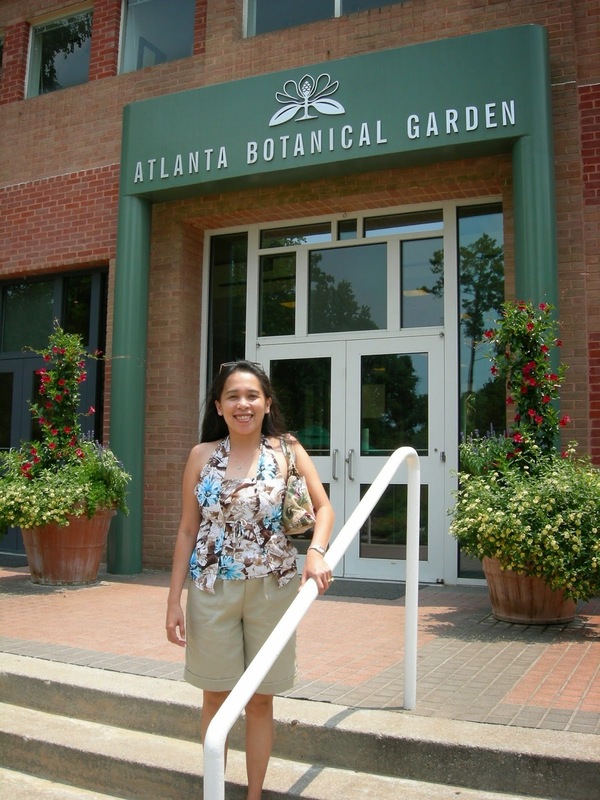 July 4, 2006 - Our visit to Atlanta Botanical Garden. Among the special highlights of the garden that we went to visit is "Niki in the Garden" which are mostly large exhibits of a renowned international artist Niki de Saint Phalle's outdoor sculptures. The Garden was the ideal place for Saint Phalle's work to be displayed because of her love of nature. Saint Phalle's imaginative, monumental artworks are beautifully displayed throughout the Garden. To me, they are captivating and very catchy that makes them unique too. 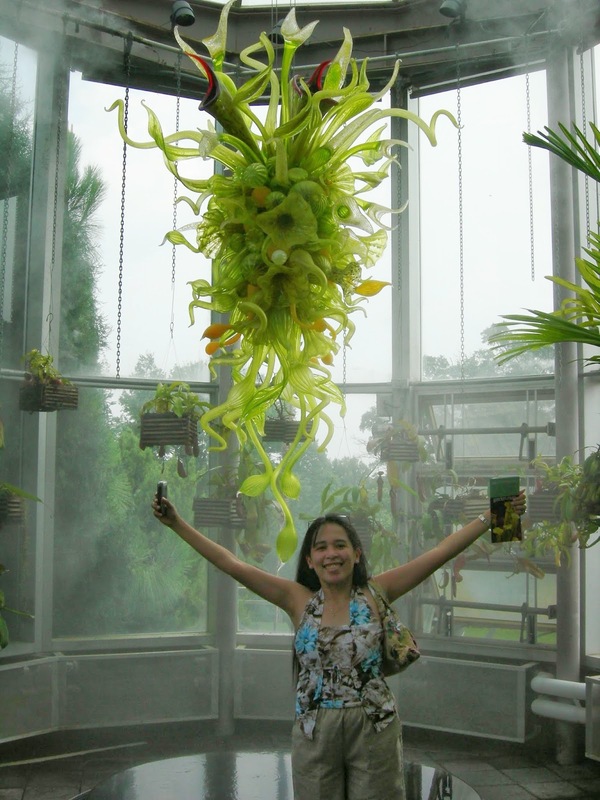 The Nepenthes Chandelier is a one-of-a-kind creation by Dale Chihuly and was a favorite of visitors during the 2004 Chihuly in the Garden exhibit. A captivating assemblage of brightly colored glass in hues of yellow, chartreuse, and gold with touches of red, the chandelier sparkles in the Special Exhibitions space in the Fuqua Conservatory. The Nepenthes Chandelier was donated by David Jost Tufts in memory of Jeff Lewis. Good thing is CNN was just a walking distance from our hotel, so we didn't have to take a cab to go there. This is CNN's global headquarters. 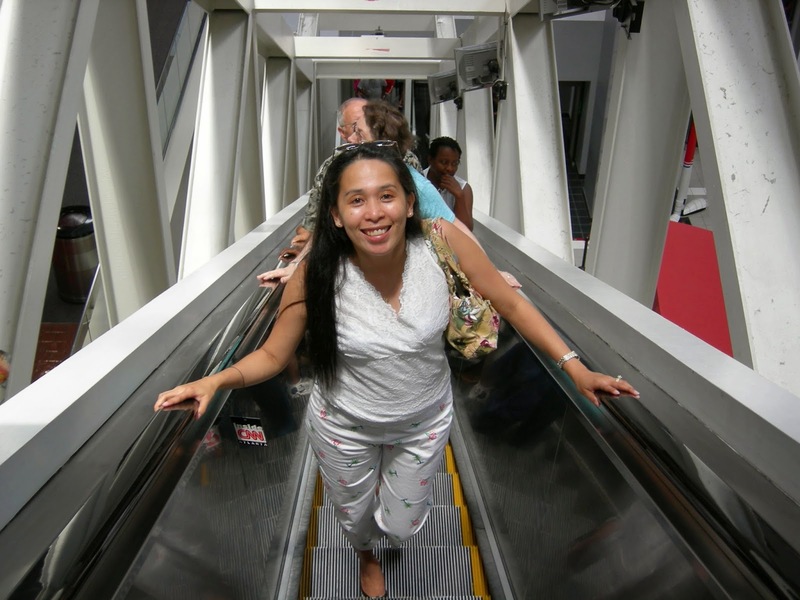 Our tour was for 55 minutes, no photography allowed inside the studio, but photos are allowed on the lobby area. Once inside, it is pretty much tight in security, equipped with Xray machine. You have to pass the machine before you go inside the main studio. Studio 7E - No photos were allowed, but lucky me...my husband was able to get 2 shots inside the studio :). 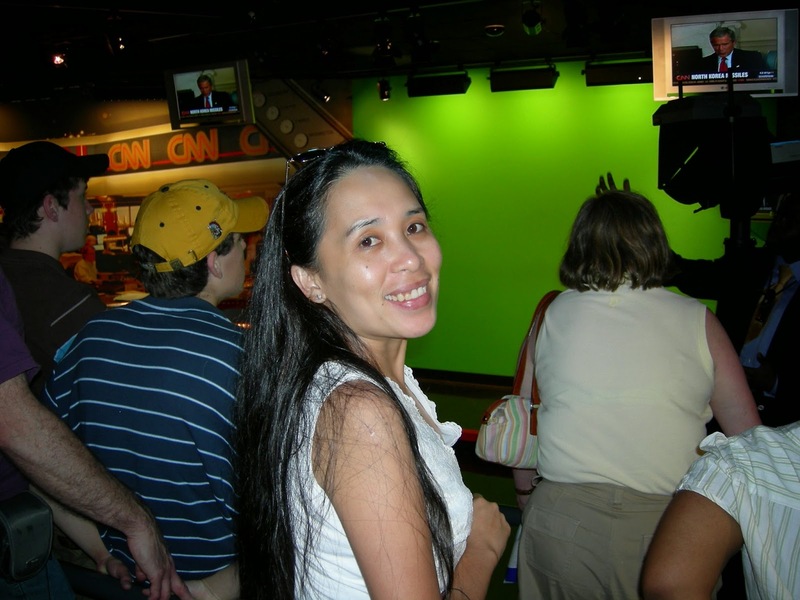 Studio 7E is a blackbox studio where it gives you an up-close look at the technology used at CNN everyday while delivering the news and the weather. This is where they do the actual reporting of the weather. 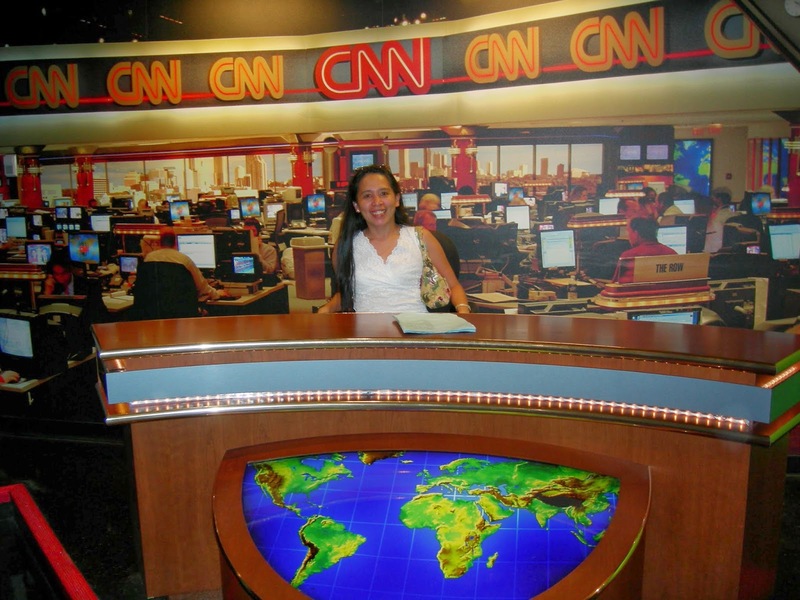 CNN Control Room - here, we witnessed the taste of the fast paced environment of live television news. The CNN Overlook - this is the bird's eye view of the news room in action. Here they showed how news flows in from their sources and then out to their viewers. 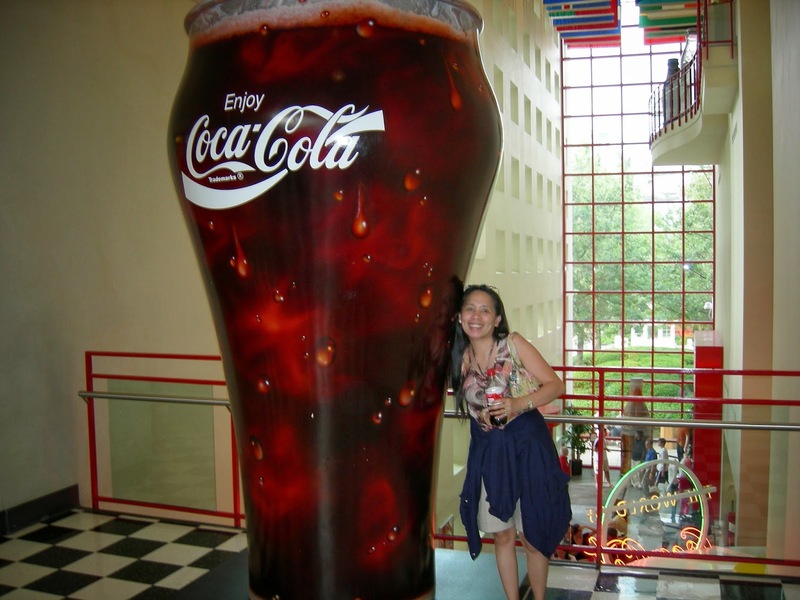 This tour was the only chance for me to know that Coca-cola originally came from Atlanta...the home of my most favorite drink..Coke! lol! It's the only place where you can explore the complete story past, present, and future of the world's best-known brand!